Very interesting scatter of distance v accuracy. How do you evaluate ‘degrees off center’? 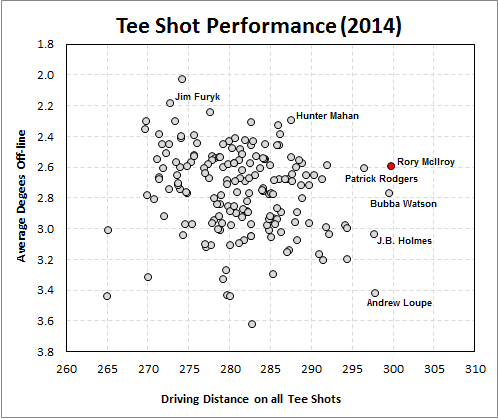 Is this a ShotLink data point that is captured by the PGATour? It’s derived from that data.